Happy Friday peeps! 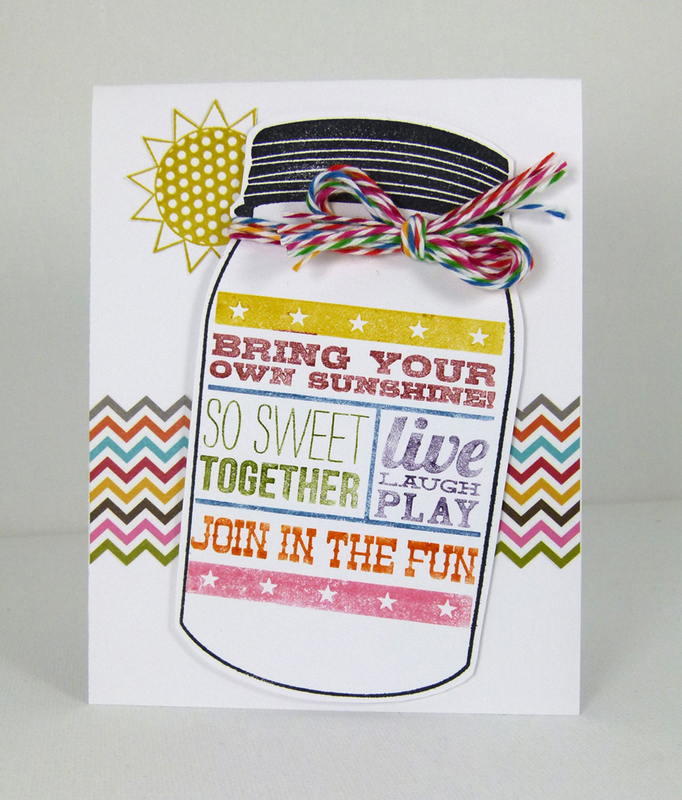 It has to be said…Unity’s jar of sunshine might be one of my all-time favorite stamp sets. I have used it so much, if rubber wore out, this set would be long gone. I love all the possibilities and the big ol jar. I am posting this happy card today for Unity’s Friday Friends with Flair. I used jar of sunshine and Simple Stories Snap Life 6×6 stack…another fave, The Twinery twine and a bunch of Tim Holtz Distress Markers.